Eye: A rich reddish amber. Appears like flames in this gorgeous decanter. Nose: Exceptionally complex. Aromatic power with cigar box and nutmeg. Palate: Mouth is sweet, velvety, round but not a heady Cognac. As part of the famous Perfection Series of Cognac released by this highly-acclaimed Cognac house, the Hardy Cristal Perfection Lumière Cognac is both a collector’s item and an example of the “world’s oldest known unblended Cognac”. It has been aged in Limousin oak barrels for at least 30 years. Unblended and totally pure, it is bottled at its natural strength of 41% ABV. To enjoy this Cognac is to appreciate the fleeting moments in history, as once it’s gone, it’s gone. With notes of coffee and cocoa, it is a rich Cognac with hints of oak. It is immaculately balanced - a fine and rare Cognac. The eaux-de-vie of this particular Cognac dates back to the 1870s, before the Phylloxera crisis, and are crafted with 100% French Colombard grapes. The founder of Hardy Cognac decided to save certain batches of Cognac from the Grande Champagne cru to preserve the future of his family brand. Unlike many Cognacs today, the Hardy Perfection Lumiere Launched for the first time in 1981, Jacques Hardy collaborated with Daum glassworks to bring his fine eaux-de-vie into the world of high fashion with a stunning carafe. They soon became precious objects. Known as ‘Light’ in English, it is the fifth edition of the series. The ‘Essential Element’ series are numbered and rare to come across. Only 300 decanters have been made, with proof of authenticity. Indulging in this Hardy Perfection Light decanter is indulging in a piece of history itself. 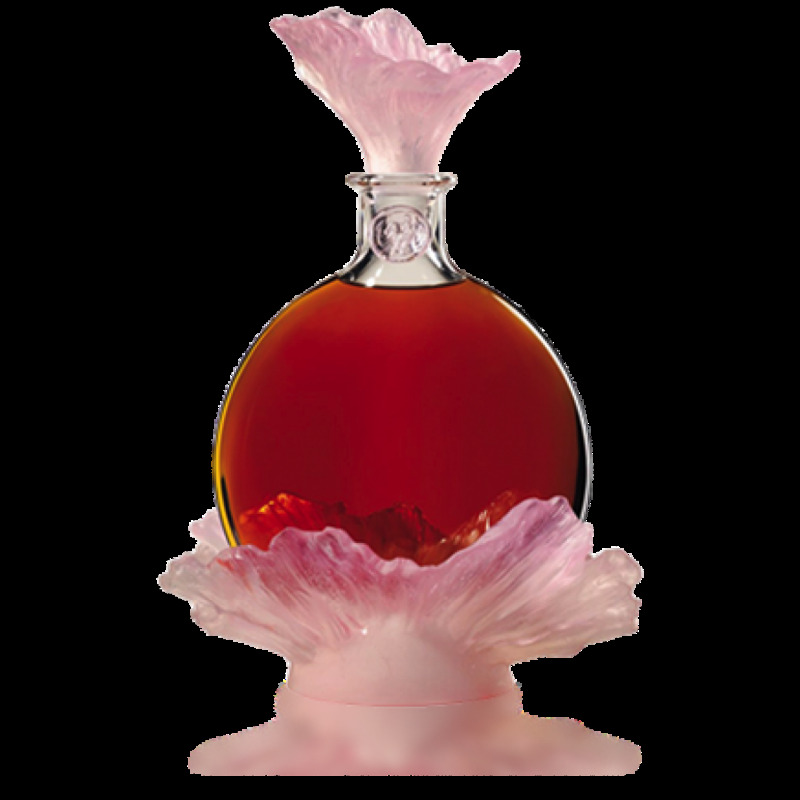 The Perfection ‘Light’ Cognac arrives in a voluptuous decanter, with a light rose pink petal shape from its stopper and around the base, cushioning the bottom. Hardy commissioned Daum Glassworks to craft this unique masterpiece. Such a rare beauty of a Cognac should be enjoyed neat. Read more about the Hardy Cognac story here on our blog.